The NOAA Great Lakes Environmental Research Laboratory analyzed the temporal and spatial variability of ice cover in the Great Lakes. Temporal and Spatial Variability of Great Lakes Ice Cover, 1973–2010* was published in the February 2012 issue of Journal of Climate. Lake St. Clair, between Lake Erie and Lake Huron, had the smallest ice coverage loss (37%). US News on MSNBC.com. 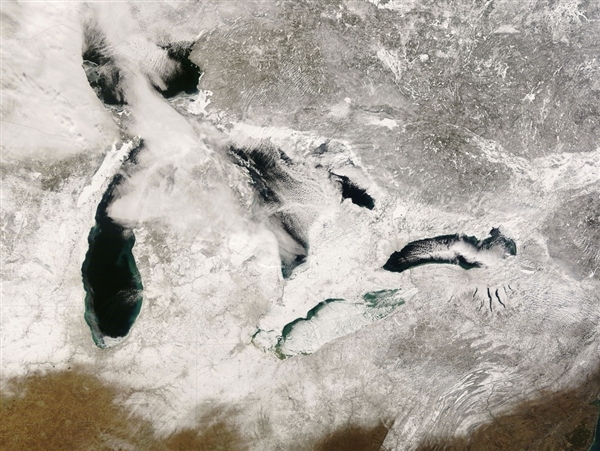 Great Lakes ice coverage falls 71 percent over 40 years.